YAY! 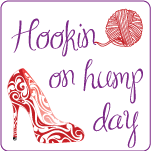 It’s time for week #7 to begin of the 12 Weeks of Christmas Blog Hop Crochet Along (CAL) sponsored by Red Heart and hosted by The Hooked Haberdasher, Charmed By Ewe and Pattern Paradise. Did you finish weeks 1-6? 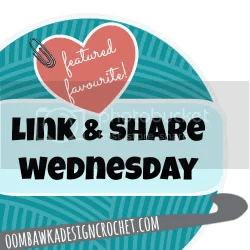 If you missed the free patterns for the first six weeks of the 12 Weeks of Christmas Blog Hop Crochet-Along, you can find the links HERE. A photo of your finished City Girl Cossack Hat posted at the Crochet Playground Facebook Group and linked to the the Rafflecopter by 10/29/15 11:59p PDT will be entered to win the Red Heart Yarn Prize package ($50 Value). I used Red Heart’s Sparkle Soft and Soft yarns for my model – I absolutely love the feel of the Soft line of yarns Red Heart offers. The yarns work up easily with beautiful results! As an option, I also used Red Heart’s Boutique Fur to trim one of the hats I’ve made – the Boutique Fur is oh so, so soft and works up easily using a large hook and has such fun results! 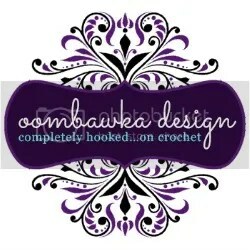 I would recommend all of the Red Heart yarns I used in this project to all of my crochet friends and family! This week’s free pattern for week #7 of the 12 Weeks Of Christmas Blog Hop CAL is brought to you by The Hooked Haberdasher – that’s me! The City Girl Cossack Hat is really fun to make with lovely results and it matches the City Girl Boot Cuffs! H hook- hdc, 12 sts x 8 rounds=4” using Red Heart Soft, which is an Aran yarn (go up a hook size to achieve gauge if necessary). I used a worsted weight for the second and third hats I made, and I did go to an I hook to meet gauge. *Tip: work your hat body with the right side facing you, even as the hat takes shape (it appears inside out as you increase the depth of the hat); this will keep your gauge accurate. Instructions within brackets [ ] are worked into the same st. Example: [tr, sc] = one treble crochet and one single crochet worked into the same stitch. Parentheses ( ) at the end of a round = total st for that round. Special Stitch: Faux Bobble: work *[1 tr and 1 sc into the same st], sk 1 st*, repeat * (I am working on a photo tutorial and video tutorial of this stitch, which should be released in the next couple of days). The hat is worked in the round (spiral fashion) without joining. Place your stitch marker in the first stitch of each round and move up with each consecutive round for the entire project. Increase rounds (R1-7) will always end with an increase in the last st.
At the end of R7, your circle should measure approximately 6 to 6-1/2” in diameter. Mark the first stitch of round 9 with a different color of scrap yarn. For a half double crochet jogless stripe color change on R18, view this how to videotutorial “Jogless Stripes in Half Double Crochet When Working in Spirals” by Crochet Ever After. When working your fold up hat brim you are continuing to work in a spiral; no join. When making your faux bobbles [tr, sc] from R22 on, place your sts into the sk space from the previous round; this results in a staggered bobble effect. The st to work into is easily recognized by the length of the two top loops; you will work into the “longest” looking loops. Your faux bobbles will appear on the “inside (wrong)” side of your hat” while working rounds 21+. When the brim is folded up, they will be on the “outside (right)” side of the hat. Work over your tails whenever possible to have less weaving of tails when you’ve finished your hat. Weave in all ends using your tapestry/yarn needle. Fold your brim up at the natural fold line of the hat (R21) – adjust to your liking. Leave your Cossack hat minimalist or adorn with a pom-pom, button, lightweight brooch, rolled ribbon rose, feathers or add the Red Heart Boutique Fur – really whatever suits your fancy… Enjoy! *Optional: For a fun furry edge, use your large hook and Red Heart Boutique Fur. Attach yarn with a sl st to your last round’s last stitch, and loosely sl st every other st around (33 sl sts). Finish off and weave ends. 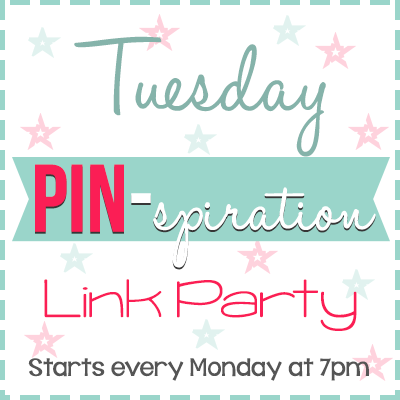 Here’s your sneak peek and supply list for the 12 Weeks of Christmas Blog Hop CAL, week #8. Next week’s project designed by Janaya at Charmed By Ewe, the Jolly Holiday Stocking, will be posted on Janaya’s website on 10/30/15 with all of the pattern details. 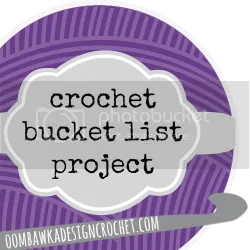 Finished projects posted in the Crochet Playground Facebook Group and linked to the Rafflecopter by 11/05/15 will be entered to win the Red Heart Yarn Prize package ($50 Value). 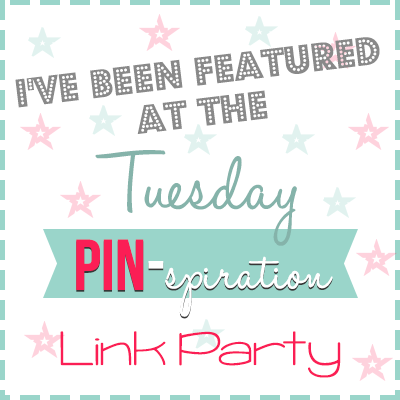 Wishing you a wonderful 12 Weeks of Christmas Blog Hop CAL, Week #7!!! Posted on October 23, 2015, in CROCHET TIP, Crochet-Along, Free Patterns, Giveaways, PATTERNS, PRODUCT REVIEW, tutorial and tagged #12WeeksChristmasCAL, Boot cuffs, CAL, charmed by ewe, Christmas CAL, christmas crochet, Christmas crochet along, crochet, crochet boot cuff pattern, crochet cossack hat, crochet faux bobble stitch, crochet pattern, crochet project, crochet snowman wall hanging, crochet-along, faux bobble stitch, free crochet boot cuff pattern, free crochet cossack hat pattern, free crochet pattern, free pattern, fur trim crochet hat, giveaway, pattern paradise, pinterest, Ravelry, Ravelry a Knit and Crochet Community, Red heart, red heart boutique fur, Red Heart Soft, red heart sparkle soft, snowman wall hanging, the hooked haberdasher, thehookedhaberdasher.com, wendy bickford. Bookmark the permalink. 9 Comments. Lovely hat! Thank you for the pattern…. Thank u for this beautiful pattern – I love my new hat! What is the purpose of marking the first stitch in Row 9? I just finished this hat for myself. I used Redheart With Love yarn. Did it in a jade color with a varigated brim and seamist fur yarn. I love it. With my left over jade I am making a neckwarmer and fingerless mitts. I know my ears are not going to get cold wearing it this winter. 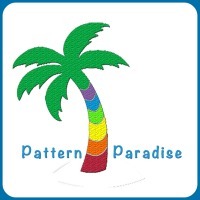 Thank you for the great pattern.